Located between 24th and 32nd street, just north of Camelback road, you’ll find Phoenix’s Biltmore neighborhood. This is considered one of the city’s most coveted residential areas, where pristine homes shoulder up against the bustling Biltmore shopping center, the storied and prestigious Biltmore Hotel and Spa, and two perfectly manicured, 18-hole championship golf courses. It’s the kind of place anyone from around the world would consider a vacation destination, so just imagine calling it home. The New York Times referred to the Biltmore neighborhood as “elegant desert dwelling with a Midwest touch,” and that is about the most perfect description we can think of. It’s most certainly located in the desert, but the Biltmore has this palpable air of Midwestern charm to it. For starters, the upscale neighborhood is plush with green grass and generously speckled with mature shade trees. It’s also ornamented beautifully with bubbling fountains, fragrant citrus and rose gardens, gently swaying palms, and features some of the most breathtaking homes in the valley. The Biltmore neighborhood also boasts a splendid history. Smack dab in the middle of the residential area is the handsome, castle-like Arizona Biltmore, opened in 1929 and built by Albert Chase McArthur, a student of Frank Lloyd Wright. Fun fact: “every president from Herbert Hoover through George W. Bush has been a guest” at this world-famous spa and resort, and the Reagans even celebrated their honeymoon here. Home prices in the Biltmore neighborhood run the gamut depending on what you’re buying and where, exactly, you’re buying. For example, one-bedroom condos typically hover in the upper $100,000 range, while the most grandiose homes can easily surpass $10 million. In the middle, you can expect to find gorgeous homes – ideal for singles, couples and families – ranging between $500,000 to $3 million, on average. Many of these homes are securely located within gated communities, or are nestled behind stately fences, which further creates a sense of privacy, safety, and exclusivity. Though the lush Biltmore neighborhood feels secluded and tucked away from the hubbub, it’s close to pretty much everything that’s important. As such, it is arguably one of the best starting points in the city. To begin, the Biltmore Fashion Park and Shopping Plaza – an open-air, sprawling shopping destination – is essentially located in the neighborhood’s backyard. Also very close by are the Camelback East Village Shops, the Camelback Esplanade, and the ever-growing Town & Country shopping area. All the above contain additional shopping, not to mention numerous grocery store options ranging from Whole Foods to Trader Joe's to a recently remodeled Fry's Supermarket. Of course, all this is within a five to 10-minute drive of the neighborhood (and in many cases, are walkable or bike-able destinations). The Biltmore Neighborhood is also heralded for its 20-minute proximity to everything else in the city that matters. The airport? An easy 20-minute drive. Phoenix’s thriving downtown scene? Twenty minutes away. Old Town, Mill Avenue, Midtown, Arcadia, Camelback Mountain, Dreamy Draw? All 20 minutes away. Whether you’re craving a date with some award-winning food, a morning stroll through art galleries, a day full of shopping, a boisterous night spent hopping around Old Town – or simply want to kick your feet up in your backyard haven – the Biltmore totally has you covered. 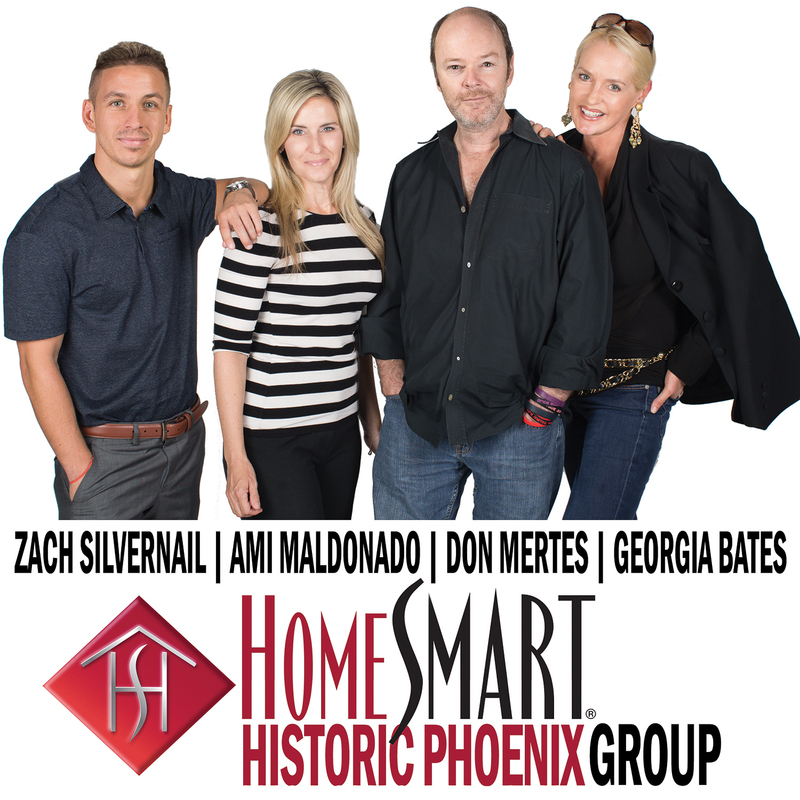 Welcome to historicphoenix.com, your #1 internet resource for buying and selling Biltmore Neighborhood real estate. On this site, you will be able to find nearby school information, restaurants and grocery stores, buyer resources, seller resources, and search all Biltmore homes for sale. Our goal is to provide you with the most valuable information and service regarding Biltmore Neighborhood real estate and homes for sale. Through this site, we provide you with access to MLS listings and resources for buying and selling a home, but most of all, an easy way to access expert guidance as your time to buy or sell Biltmore real estate approaches. In today's real estate market, it takes more effort, time, and resources to sell your Biltmore home. We are personally committed and passionate not only about selling your home, but selling it for maximum market value. We offer our clients a full line of services and a network of service providers to not only provide you with maximum market exposure through our extensive and aggressive marketing plan, but to provide a tailor-made solution to handle all aspects of your real estate transaction including pre-listing preparation to best showcase your home. We also work with an extended list of service providers who can help meet all your needs related to the sale of your Biltmore home. 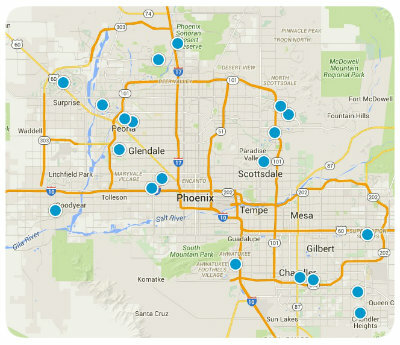 Find out what your Biltmore Area home is worth TODAY. For most people, purchasing a home is the single largest and most exciting financial decision they can make. That is why we take finding a home for our clients very seriously. We're not only committed to finding you a home, but to finding you the absolute best home on the market at the best possible price, and if one does not exist on the market, we'll search off-market properties and do our very best to find you the right Biltmore Area home. This website also serves as a tool for clients to search properties currently on the market, receive up to the minute market updates through email, and even request showings. Start searching now OR let us do it for you!